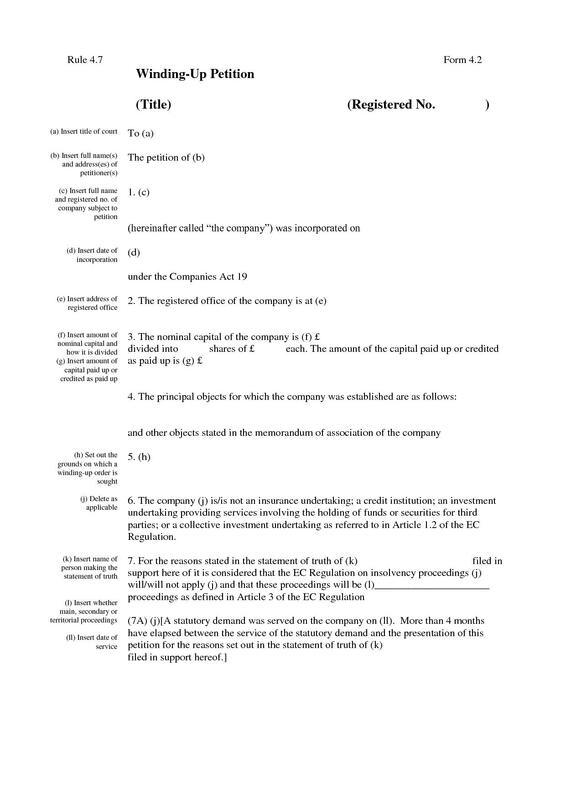 To apply for a compulsory winding-up order (winding-up by the Court) against a company, you must complete a winding-up petition form 4.2. We have provided the necessary form here for reference purposes in Adobe .pdf format and Microsoft Office Word .doc formats. 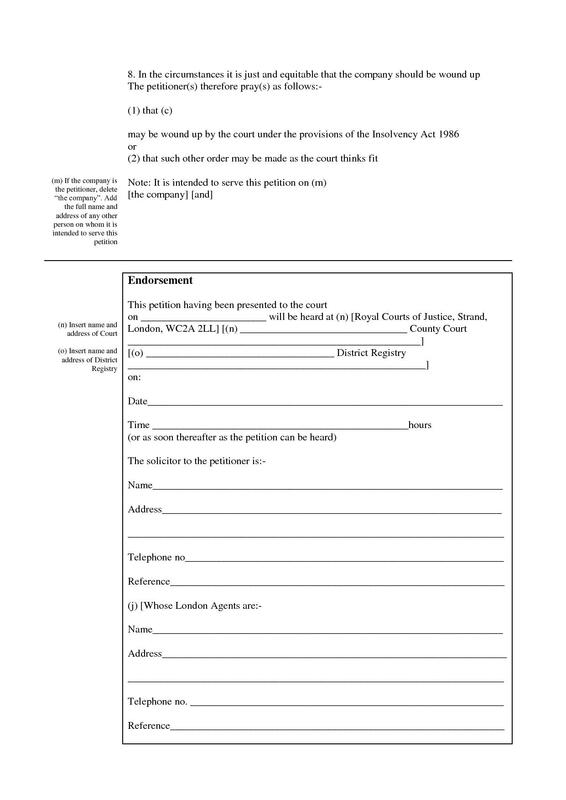 It is important that these forms are completed accurately failing which your opponent may seek to strike out your petition for a technical error. Our Winding-Up Petition Solicitor & Barrister Experts are able to give you specialist legal information and advice on your corporate and personal insolvency options. Just click here to complete our online contact form or for a free telephone assessment and a free case assessment with a qualified winding up lawyer call 0845 8622 529.